I didn't like mince pies as a kid. In fact, anything with dried fruit—and especially mixed peel—was actively ignored. But while I opted instead for the ice cream and fresh berries as lunch dessert these yuletide treats were always there on the periphery, as I also loved the tradition of a big family Christmas and how each year Aunty L would bring out her magnificent steamed pudding for us to ceremoniously set fire to while the remaining aunts and nieces vied for my Grandfather's approval in deciding who made the best mince pies that year. For some unknown reason I eventually got lumped with the task of chief pie-maker, and while I delighted in the opportunity to bake and begin contributing to the family feast, I also thought it was pretty stupid to be giving that task to someone who was unlikely to even taste-test them. Needing direction I humbly begged for the family recipe, and was a little surprised to discover that our collective tastebuds weren't actually that fussy. 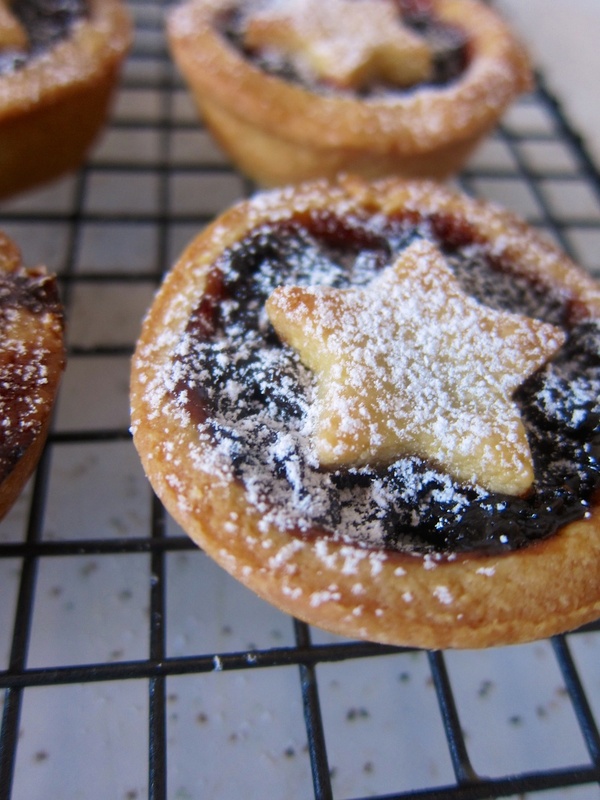 Apparently a good sweet shortcrust pastry and Robertson's fruit mince was all that was needed, and that was how it stayed until I grew up and finally learned the error of my ways. After my palate matured and I began to embrace the wonderful world of fruit cake, puddings and buns it occurred that on the subject of pies I could, and quite simply should, do better. So after a few years of toying with various mincemeats and pastries I have settled on what is currently my favourite combination; a traditional suet-based, boozy mincemeat encased in a rich yet sturdy sweet shortcrust pastry. It was with this heady combination that we recently addressed the 'open vs. closed' conundrum, and after much deliberation by a hastily assembled expert tasting panel the results were unanimous. While the open style certainly had a very pretty aesthetic, the fully enclosed pie was, without question, the big winner on the day. The suggestion that these would be better "because there is more pastry" was disregarded by our tasters—everyone knows the secret of a good pie is perfecting the golden pastry-to-filling ratio—all simply preferred the flavour and felt that the mincemeat had a more enjoyable "smoosh" when fully encased. They were a proper pie, as opposed to the open ones that seemed a little more like tarts, and this suited these rich Christmas delectables down to a tee. The pastry itself also deserved special mention, with a couple of cheeky additions that helped produce a beautiful moist crumb with enough tenacity that the resulting pies were most definitely, "no-nonsense". 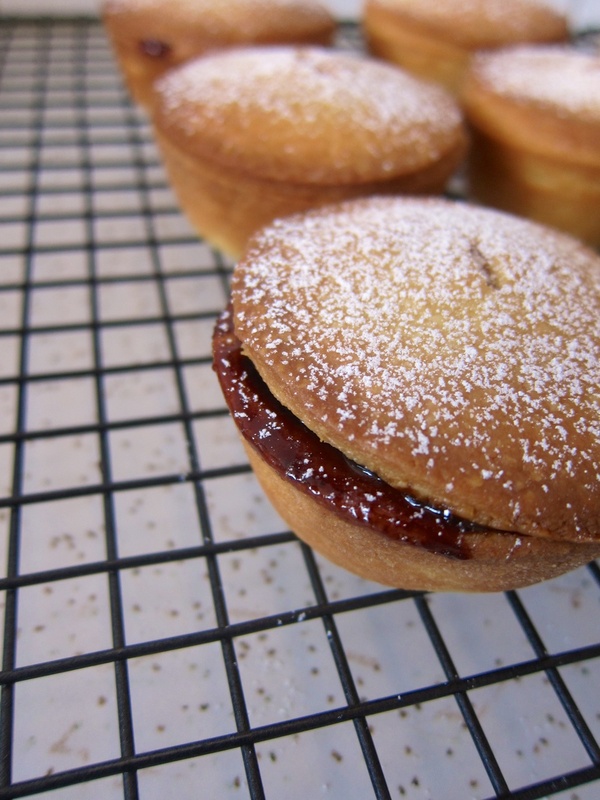 A deep-filled mince pie convert, this is one classic baking tradition I'll certainly be carrying on. Measure the flour, baking powder and sugar into a bowl. Add the diced butter and rub it in with your fingers until no more lumps are seen, then do the same with the cream cheese, almonds and egg yolk until you have a smooth dough (adding a little milk, if necessary). Chill for 30 minutes then roll it out to approximately 1/2 cm thick before cutting out discs. Mix together all the ingredients except the Armagnac, cover, and leave in a cool dark place (not the fridge) for 2 days, mixing 2-3 times a day. Transfer the mixture to a large roasting tray, cover with foil, and bake in an oven preheated to 140°C for around 4-5 hours, stirring occasionally, until the suet has melted and is bubbling, and the mixture has darkened. 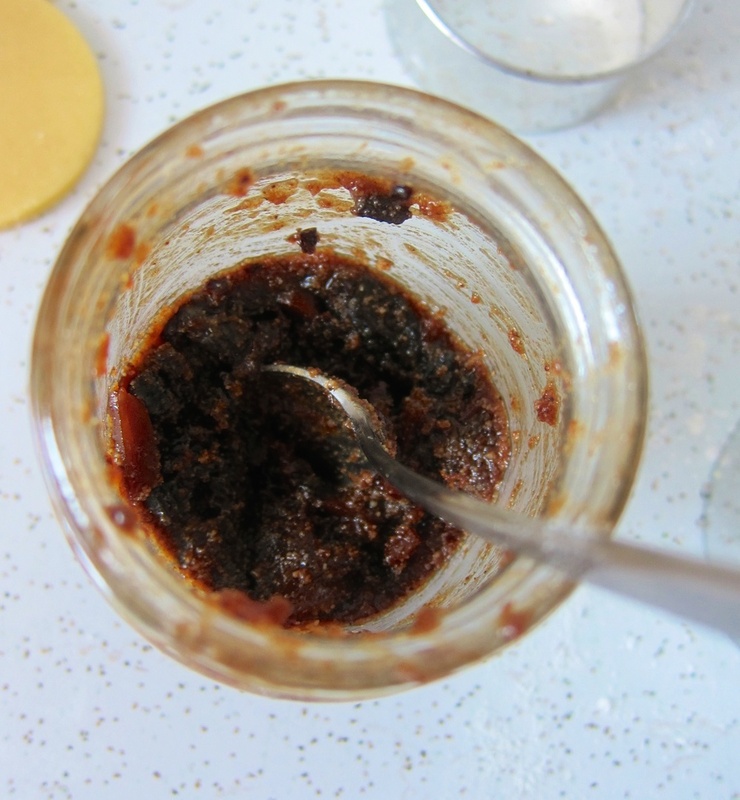 Remove from the oven and leave to cool, stirring every 10 minutes to make sure the fruit is covered by the fat (this will help to preserve the mincemeat). Finally, when cool, add a very generous slosh (about 200 ml) of Armagnac. Pot in sterilised jars and seal. Lightly butter the pockets of a muffin tray and line them with the discs of pastry, pressing them evenly into place. Three-quarters fill each one with mincemeat and then brush the rims with a little water. Press another pastry disc into place as the top and pinch at the edges to seal. Cut a decent-sized hole in the centre of each pie for steam to escape. Bake at 200°C for about 25 minutes until golden brown. Remove from the oven and leave to cool before easing the pies carefully from the tin. ** Dan's recipe calls for discs 8- and 10-cm in diameter. Obviously it will depend on the size of tray that you're using, so I'm leaving the measurements up to you. Similarly, adjust baking times as necessary. ** The original mincemeat recipe calls for poached quince—which I think sounds utterly delightful—but since they're out of season here and I failed to preserve any over autumn I've substituted pear instead. These can be poached with some lemon juice and vanilla bean first for that little something extra, however it's not at all necessary.